Responsibility for ethical compliance rests with the individual state employee or the supervisor who allows employee action or inaction. Therefore, it is very important that as a state employee or officer, you are at least familiar with the principles of the state ethics law. In order to protect its employees and ensure strong internal controls and overall compliance, the University promotes ethics training to all levels of employment. New employees are provided an introduction to the law, open enrollment sessions discussing provisions of the law are held throughout the year, and Internal Audit is available at any time to provide guidance on interpretation and ensuring employees act within the constraints of the law in carrying out the duties of their respective positions. Internal Audit frequently communicates with the Assistant Attorney General’s Office and the Executive Ethics Board in order to ensure appropriate and consistent interpretation of ethics laws. The Ethics in Public Service Act, Revised Code of Washington (RCW) 42.52, became effective in 1995. This ethics law consolidated a number of prior ethics laws which had been in place providing ethics rules for different groups of state employees and officers. The revised law intended to create one set of ethics standards which would apply to all state employees and officers. The Executive Ethics Board plays a key role in maintaining ethics accountability in the executive branch of Washington State Government. The ethics law establishes high ethical and public service standards and holds state employees and officers accountable to the public in many areas including outside consulting, using state facilities and equipment, outside business interests and conflicts of interest. 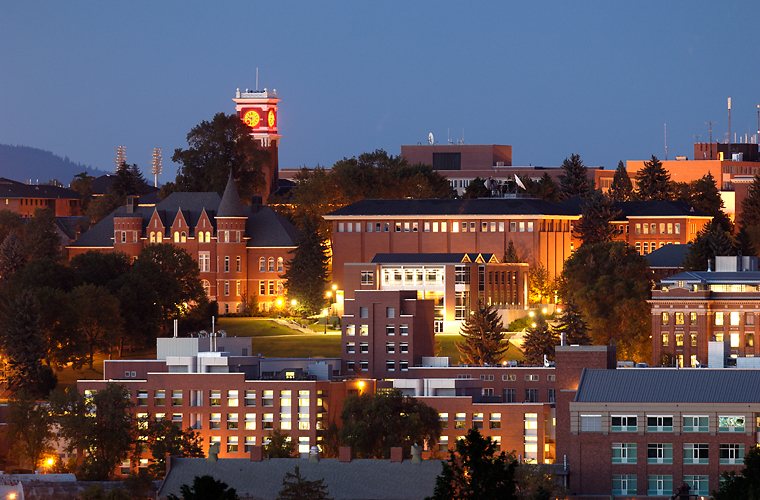 The ethics law applies to all state officers and employees including those at state universities such as Washington State University. Students employed by the University are governed by the state ethics law as an employee of the state. In summary, the ethics law provides that all state officers and employees have a duty to ensure the proper stewardship of state resources, and that those resources may not be used for the private benefit or gain of a state employee, officer, another employee, person, or organization. See Ethics Guide for more information on the laws and their application in our work environment. Also, see below for training opportunities and other resources. WSU’s Assistant Attorney General provides ethics training to the WSU community. General training sessions are sponsored throughout the year by the HRS Training Resources program. Departments or areas can also request new employee ethics training or refresher courses. For requested trainings, the AAG coordinates with the requesting department on the type of training desired, specific points or issues to be addressed, the time allotted and when and where. Please contact the AAG, 335-2636, to inquire on training offers and availability. University employees may disclose assertions of ethical violations to the Office of Internal Audit. Although we cannot provide guarantees to safeguard anonymity of an employee making a claim, every effort is made to maintain confidentiality. To report suspicions of violation, please follow the guidelines to file a claim of employee misconduct. Note that you may contact Internal Audit directly at any time to receive assistance or guidance in improving controls for the prevention and detection of fraud, and/or if you have questions concerning improper activities.